Five games ready to be colored, stickered, and played. 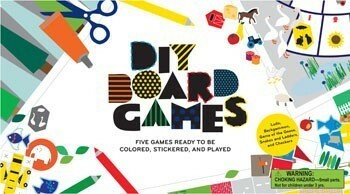 This box contains boards and counters to color in, wooden dice, stickers, and a booklet with game rules. 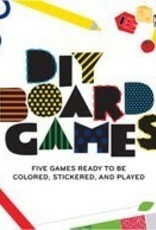 Games include Ludo, Backgammon, Games of the Goose, Snakes and Ladders, and Checkers.